Enjoy spacious seating and ample luggage space on board. There's also a visual announcing system to remind you of your stop! Worked perfectly. We checked in at desk in Airport, were shown to waiting area then escorted to bus. Bags were loaded and unloaded by the staff. All very polite and helpful. There's nothing like a comfortable and convenient hotel transfer service to freshen you up for your ensuing stay. 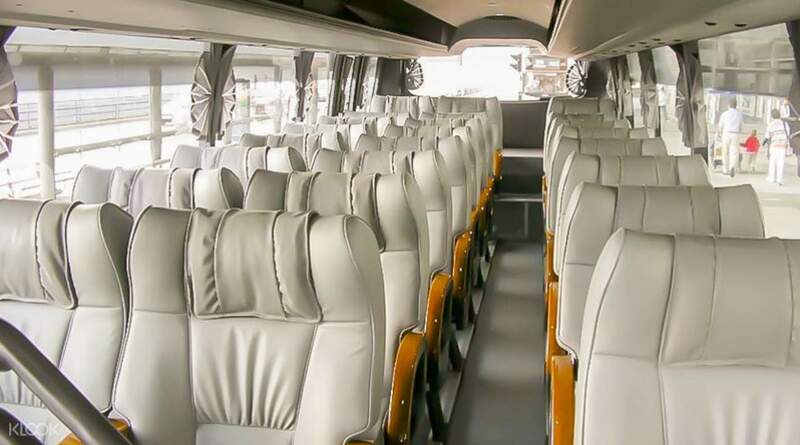 Whether you're traveling solo or in a group, with your partner or the entire family, these luxury shuttle buses offer business-class amenities to every traveler – at a cheaper combined cost than the Airport Express and a short taxi ride! Be greeted at your arrival by a professional service team, then sit back on spacious, reclining seats as you travel from the airport to your hotel. The shuttle captain was so friendly looking and really nice too. He was very considerate to wait for us at Nathan Hotel. We had a smooth trip, thank you very much! The shuttle captain was so friendly looking and really nice too. He was very considerate to wait for us at Nathan Hotel. We had a smooth trip, thank you very much! It was easy to locate B18 counter to redeem the voucher. Staff will bring passengers to the carpark and help load the luggages up the bus. Ride was comfortable and reached my hotel in Kowloon in abt 45 mins. It was easy to locate B18 counter to redeem the voucher. 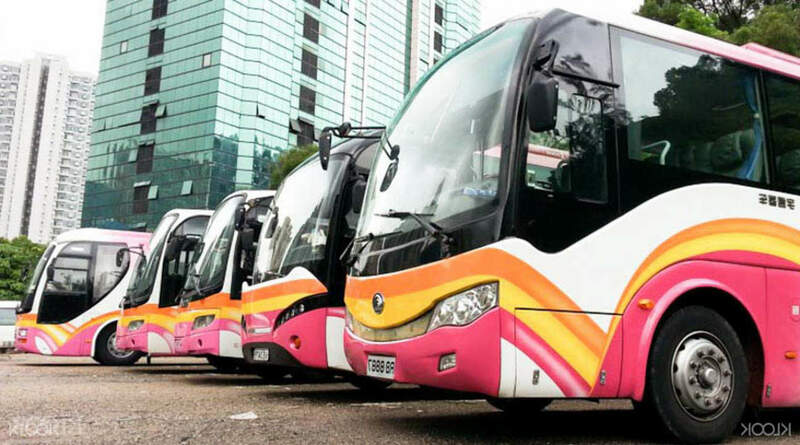 Staff will bring passengers to the carpark and help load the luggages up the bus. Ride was comfortable and reached my hotel in Kowloon in abt 45 mins. Easy and seamless transfer. On time and reached airport as planned. Enjoy the last sceneries n sights of Hong Kong. Easy and seamless transfer. On time and reached airport as planned. Enjoy the last sceneries n sights of Hong Kong. Super convenient. After showing our voucher to the counter, we just waited for few minutes and then boarded the shuttle bus. Comfortable seats. We enjoyed our ride going to our hotel. Super convenient. After showing our voucher to the counter, we just waited for few minutes and then boarded the shuttle bus. Comfortable seats. We enjoyed our ride going to our hotel. It was easy to find the counter and the conveniece in acceptance of the QR code and virtual receipt made it hassle free. Bus was clean and I would recommend this for those who are travelling in a big group. Enough space for big luggages under the bus. Kudos to the driver who was helpfull and try to assist us the best he can. It was easy to find the counter and the conveniece in acceptance of the QR code and virtual receipt made it hassle free. Bus was clean and I would recommend this for those who are travelling in a big group. Enough space for big luggages under the bus. Kudos to the driver who was helpfull and try to assist us the best he can. Lucky thing for us, we got a better bus than some previous passengers. It was spacious and cosy, with 2+3 seaters seating. Journey was smooth and driver was friendly and helped us with the luggage. For the record, Klook pls feedback to the Company abt my compliments as I believe the friendly driver also deserves some credit. Lucky thing for us, we got a better bus than some previous passengers. It was spacious and cosy, with 2+3 seaters seating. Journey was smooth and driver was friendly and helped us with the luggage. For the record, Klook pls feedback to the Company abt my compliments as I believe the friendly driver also deserves some credit. Very convenient transfer service. Our pick-up point was at the Best Western Grand Hotel, and the driver and the hotel concierge staff looked for us at the lobby and helped us with our luggage. This is more expensive than taking a public bus, but I think what we paid for was worth it since our family had many luggages. (Hope it gets a sale next time though!) Note that this is the same airport shuttle bus you can book at the hotel itself, but the hotel reception/concierge may not be able to assist you if you ask them about your Klook booking since you paid separately. (It's cheaper if you book through Klook.) Bus was clean, air-conditioned and half-empty at the time which was great. Driver was polite. Arrived on time. Make sure to check your email because the bus service will be sending you your exact pick up time, as you can't aboard the bus anytime even if it can arrive every hour. Very convenient transfer service. Our pick-up point was at the Best Western Grand Hotel, and the driver and the hotel concierge staff looked for us at the lobby and helped us with our luggage. This is more expensive than taking a public bus, but I think what we paid for was worth it since our family had many luggages. (Hope it gets a sale next time though!) Note that this is the same airport shuttle bus you can book at the hotel itself, but the hotel reception/concierge may not be able to assist you if you ask them about your Klook booking since you paid separately. (It's cheaper if you book through Klook.) Bus was clean, air-conditioned and half-empty at the time which was great. Driver was polite. Arrived on time. Make sure to check your email because the bus service will be sending you your exact pick up time, as you can't aboard the bus anytime even if it can arrive every hour. Airport shuttle bus desk was super easy to find and the bus was very spacious and compfortable. Special thanks to the staff as they were all polite and efficient. In fact I took so pictures on the way. Thanks Klook for making my stay a comfortable one. Airport shuttle bus desk was super easy to find and the bus was very spacious and compfortable. Special thanks to the staff as they were all polite and efficient. In fact I took so pictures on the way. Thanks Klook for making my stay a comfortable one.